Lyn Alexis (left) lives at Gracious Hands, a transitional house run by Sonja Chisholm. Alexis's goal is her own home. The path from homelessness to permanent housing is about more than just a place to live. For many people on that road, it's about achieving financial and personal stability. In March, we brought you the story of Lyn Alexis, 25, and her daughter Iori. 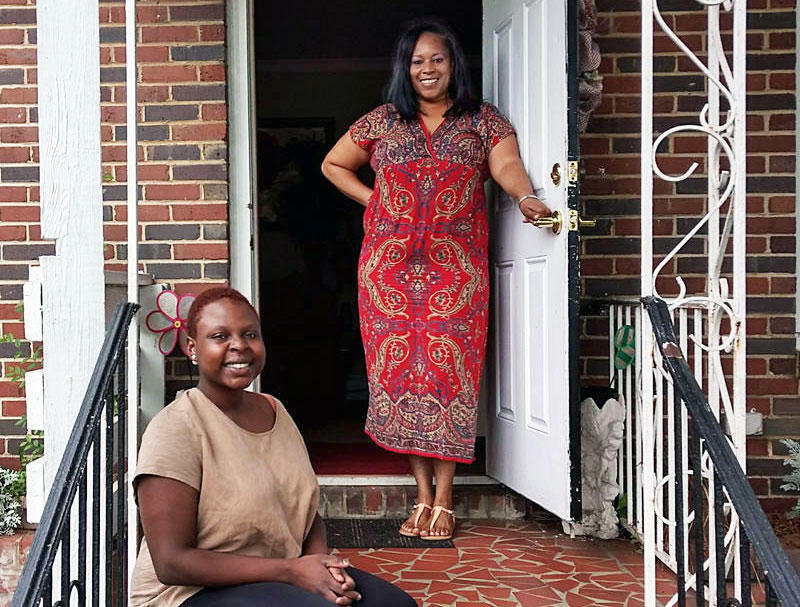 They were living out of their car last fall before they moved into Gracious Hands, a transitional home in northwest Charlotte. Alexis found a job and began to dream of owning her own home. “My goal is to buy a house within the year, the next year," Alexis said at the time. "You know I have a good paying job. I'm not paying much to live here because she provides everything that I need." WFAE's David Boraks met Alexis again in the living room at Gracious Hands. The house provides not only beds, but life skills training and support, for up to five women. After Alexis arrived last fall, she trained as a Certified Nursing Assistant, and landed a job - a good one - as a healthcare technician at Levine Children's Hospital. But one day in March, her daughter suffered a seizure at her preschool. Alexis had to leave work to care for her. At first, Alexis just wanted to lay in bed and cry. But Sonja Chisholm, who runs Gracious Hands, wasn't about to let that happen. “She was devastated because this was her dream job," Chisholm said. "And I had to say, 'Hey, hey, hey, pull yourself back together. It's not the end of the world.' I say, 'Just let's thank god right now that you are in a place where's that you have time to find another job and keep it moving." Alexis said she has an emotional support system in Chisholm and the other residents at Gracious Hands. About a week after losing her job, another came up - working as volunteer coordinator on the primary campaign of state Senator Joel Ford. The new job made her realize she shouldn't limit herself to just what she knows. “Working with Joel, it kind of gave me more aspirations to do it. Like, I could do anything that I want to do," Alexis said. "I've pulled out skill sets that I've never really had to use before. I've broadened my horizons, so I'm kind of looking just anywhere at this moment." The campaign job ended a couple of weeks ago when Ford lost. Since then, Alexis has put out about two dozen applications. She's also going for more medical certifications, which could help her find another job soon. Alexis also has her sights set on a longer-term goal: to become a registered nurse. She's enrolled in a four-year program at Central Piedmont Community College. 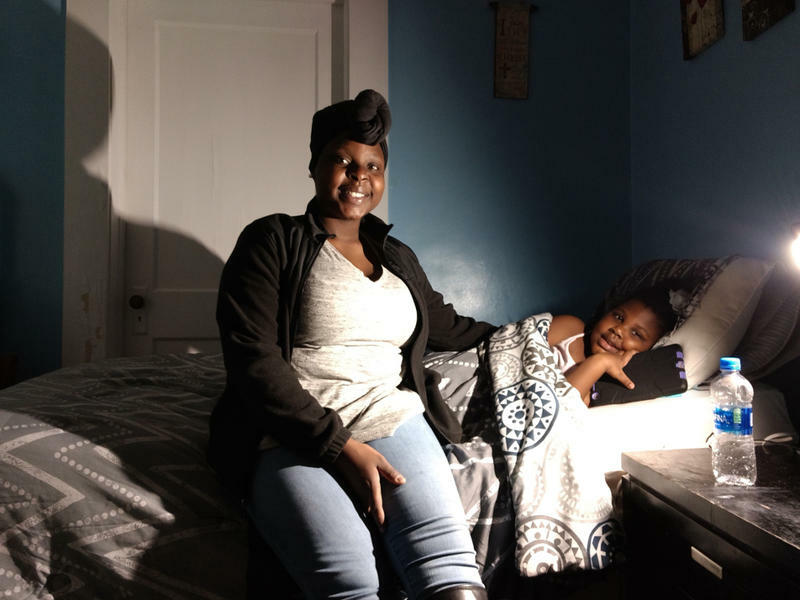 Nursing is something Alexis was pursuing back in Pennsylvania, before she had a falling out with her family, tried to kill herself and left home abruptly. She said living at Gracious Hands has also helped her grow emotionally and has given her the courage to reconcile with her family. She now talks weekly with her mother. “She asks me if I need anything, and vice versa. She tells me she's proud of me, which is very weird and rare, but you know I'm getting a lot out of that relationship," Alexis said. "I think being here has helped me grow in a lot of ways." Alexis and her mother are now talking about having Iori spend the summer in Pennsylvania, before kindergarten starts in the fall. That would give Alexis a chance to get established in a new job. Meanwhile, Chisholm is big on accountability and responsibility. With her help, Alexis is keeping a budget and saving money. “She's on track," Chisholm said. "Most women when they leave here have saved five thousand dollars. Lyn is doing very, very well in the area of saving. I am very, very proud of her." You can hardly tell Alexis had a career setback this spring. She's still talking about buying her own house someday, but now said she'd consider renting - as long as it's a stable situation. “I'm just baby steps," Alexis said. "Not allowing my bad days take over my long-term goals and my dreams. Just trying to push through the mud and climb the mountains when they come and come ahead of me." At Gracious Hands, she said, there's always someone to push you back up. We'll check back in with Lyn Alexis this summer. We will also have updates on Chisholm and Gracious Hands, too. She's still getting five to 10 calls a day from families who need her help. It's the worst part of the job, Chisholm said - turning people away. This week, she started looking around for a bigger house so Gracious Hands can have more beds to share. Affordable housing is a top priority for Charlotte city leaders. It takes many forms - from workforce housing for moderate-income residents, to subsidized housing for those with very low incomes. There's also transitional housing, aimed at helping people move from homelessness to permanent housing. Gracious Hands is one of a handful of low-cost temporary housing programs in the city. 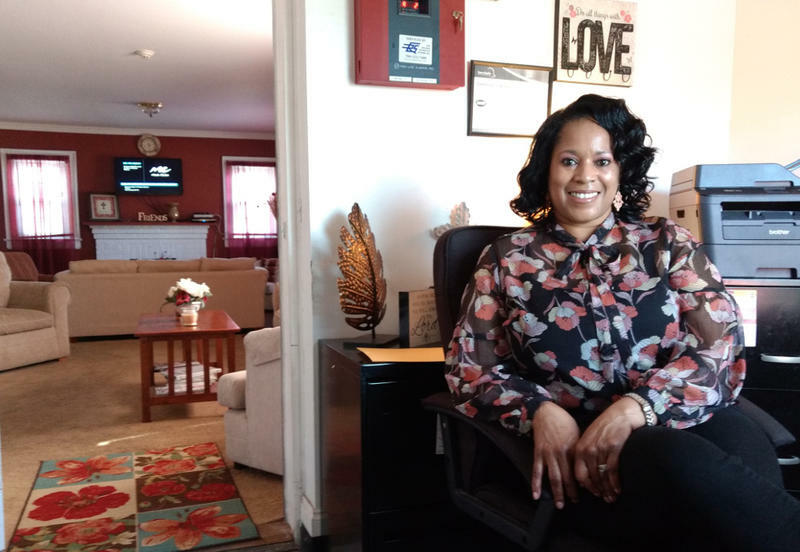 Charlotte native Sonja Chisholm was working as a supervisor at a soft-drink distributor when she and a friend founded the non-profit, Gracious Hands, in 2015. It's what's called a "transitional home" - a place for homeless women and their children to stay while they're working their way toward permanent housing.